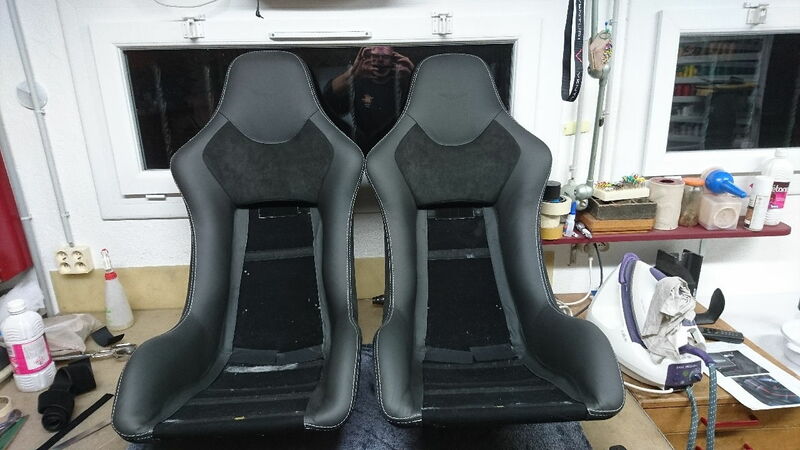 Has anyone pulled out their OEM seats and put in racing seats? I'm doing it, why ? Are your seats obsidian black? Are those Aston Martin carbon seats? What are you doing for harnesses? I build my own one. The most diffcult is to find the housing connectors. Can I ask where you sourced the seats from and if possible provide a price (private PM if not wanting to share on here). I buy the seats (2000 GBP) of a crashed DBS and I fixed minor carbon damage (500 GBP). At astonmartinbits in the UK. Awesome, well done for getting hold of them so 'cheaply'. I'm looking at sourcing some for my car and getting them trimmed to suit interior. Damnnnn. Sub'd for progress pics. As tu trouvé tes connecteurs, je n'ai pas eu de réponses a mon MP.